A short walk from Roanoke Island Festival Park, lies the Roanoke Marshes Lighthouse. Lying at the end of a pier in the waterfront harbor, this was the third lighthouse we got to see close-up on our trip. 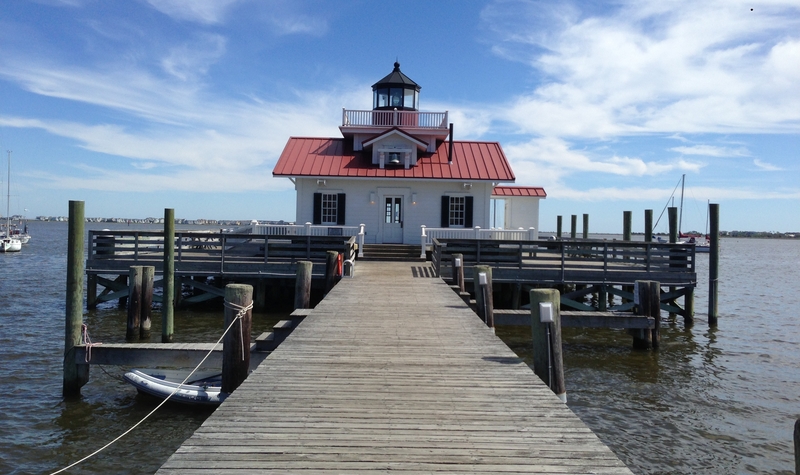 The Town of Manteo dedicated the Roanoke Marshes Lighthouse on Saturday, September 25, 2004. The lighthouse is on the Manteo waterfront, on the east side of Roanoke Island.The Roanoke Marshes Light is an exterior reconstruction of the square cottage-style screw-pile lighthouse which stood at the southern entrance to Croatan Sound, near Wanchese. It was decommissioned in 1955, and lost in the Sound during an attempt to move it to private property. Near the lighthouse, is a Weather Tower. The US Weather Bureau once used Coastal Warning Display towers such as this one to fly signal flags to warn mariners of wind shifts or approaching storms. 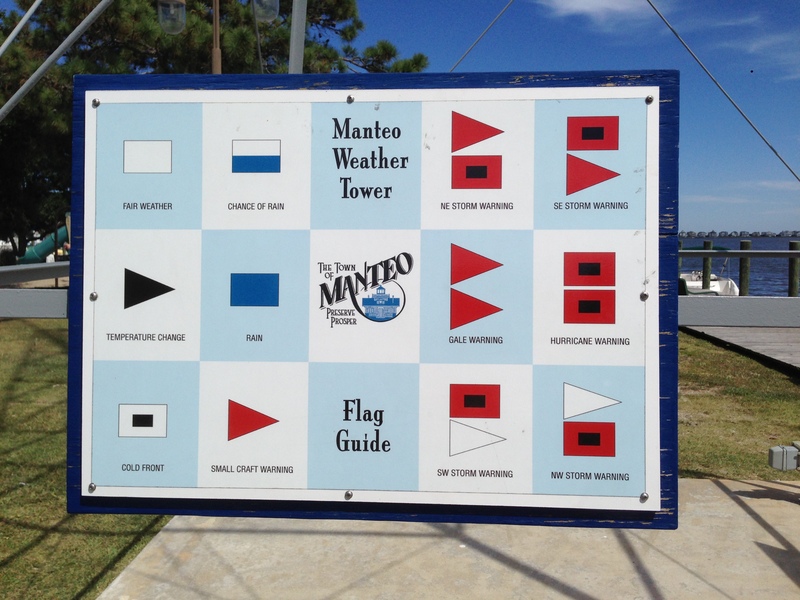 The Manteo Weather Tower is believed to be one of only five towers still in use, and may be the only one with all of its original signal lights affixed. While the lighthouse and the weather tower were undeniably the best sights to see in the harbor, we did see something else that was very cool! 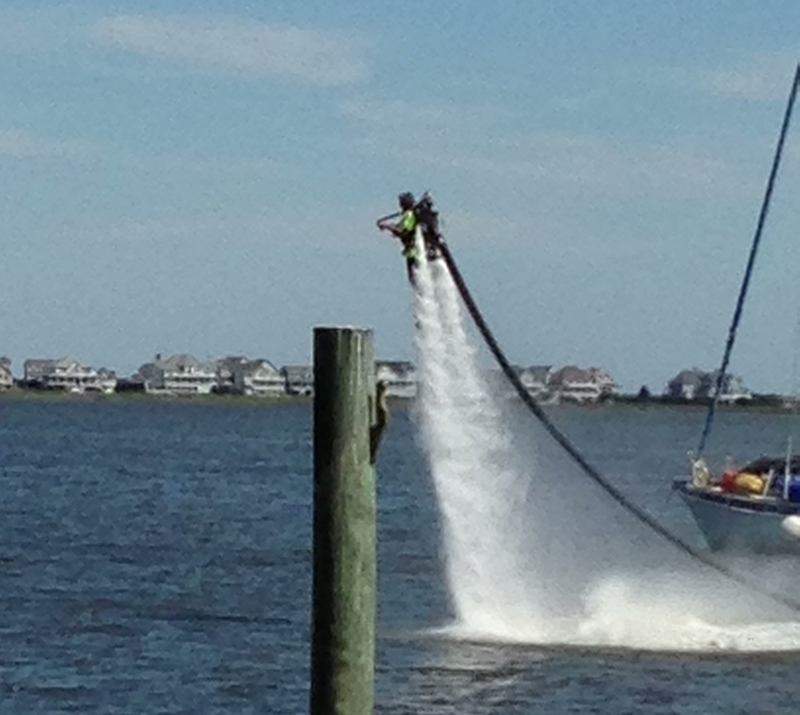 This guy was using a water jet pack to cruise around the harbor! Maybe this is not new to the average joe, but we had never seen one and were enthralled. I wanted to try this so bad, but it just wasn’t in the cards that day. 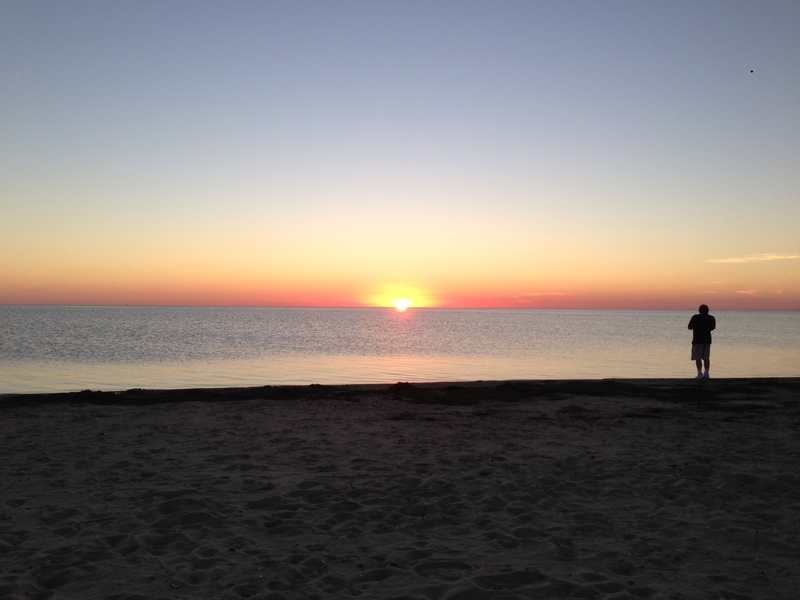 All in all, our impromptu trip to Roanoke Island was one of the best days of our trip. We left the island, picked the dogs up from the kennel and ended our day back on Hatteras, just in time to view a beautiful sunset. 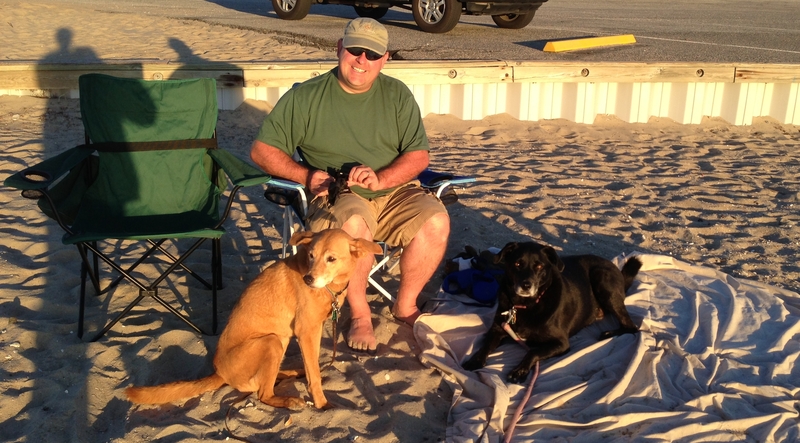 This entry was posted in Blog Update and tagged dogs, lighthouses, outer banks, roanoke island, travel. Bookmark the permalink.